Love the Chinglish on your screenshot: MY ODER. That is funny! Convenient AND funny! Heh, I didn’t even notice that! I also noticed and tried this new system in McDonald here in Kunming, although I think you have no choice but to install the McDonald app for now… I thought it would be convenient to order and pick up your order on your way home or somewhere else, but it turns out you need to scan a QR code that they display at the mcdonald counter before paying. 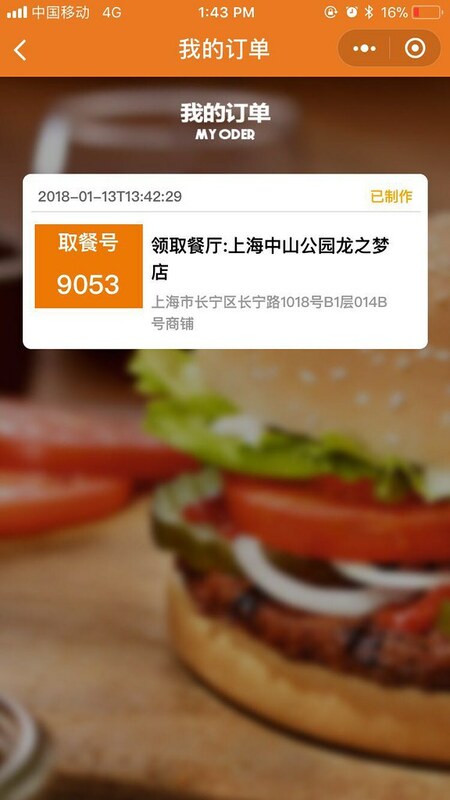 so you still need to wait for your order to get ready… I guess you could take a picture of the qr code to trick the system but I haven’t tried it. IT ABSOLUTELY ROCKS! 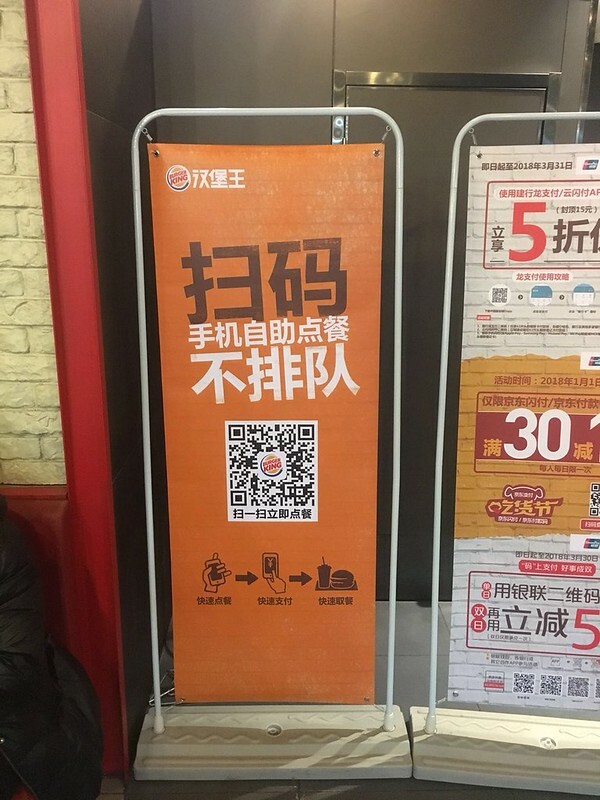 I have used this at Burger King, similar exists for KFC, and the self-serve kiosks at McD. 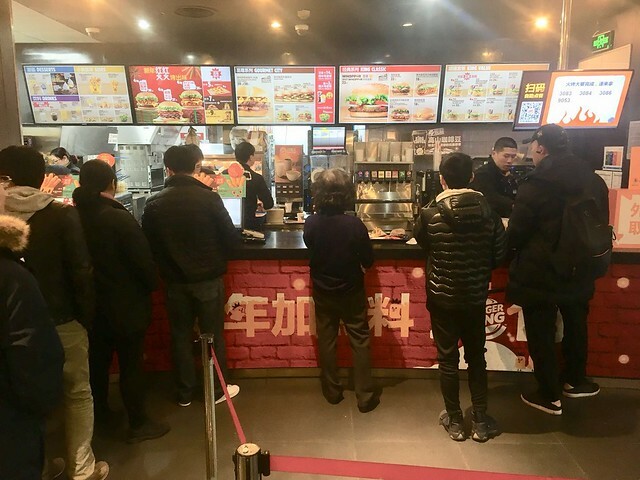 Not to give you the impression I’m only going to fastfood, there are several local eateries now that also have similar systems, one is …mama, sorry forget the name, but it’s a noodle place, where they have QR code on the table. The staff will tell you to scan and order, which I do, and whoohoo, the dishes then get served to my table. NO waitstaff needs to take the order or payment. I haven’t been to the U.S. in a couple years, so I don’t know if this exists stateside, would be curious to hear. Apart from the convenience, it allows me to take my time figuring out what to order. In China, it’s very typical for the waitstaff to stand at your table waiting for you to decide, there can be a lot of pressure! I don’t know if this is good for my Chinese language development, but I’ll take it.